Sunshine apartments were very clean very well run and nice and nice n central for the resort of Stalis . 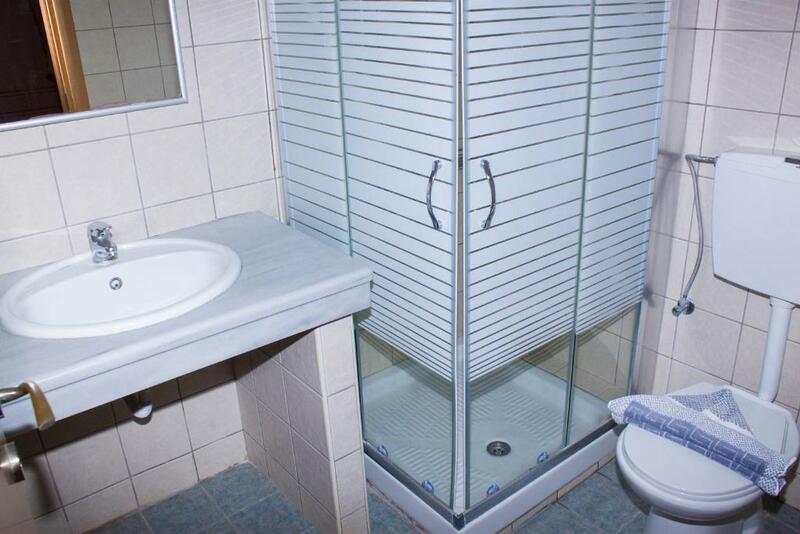 Basic apartment but friendly atmosphere and nice poolside in a nice area. Only 2 minute walk to the beach and all the restaurants and nightlife, far enough not to be bothered by any noise. All in all a lovely holiday. Plenty of sunbeds round good size pool, spacious room, good size bathroom, great location away from traffic noise, good bar serving excellent food & drink and of course lovely owners and staff. Friendliness of Kostas, Manos and their staff. Good location regarding pubs and restaurants. The room we had suited our needs perfectly.The pool was of a reasonable size,but not if too many people wanted to use it all at once.We found the staff very amiable and friendly.We would certainly look to return. 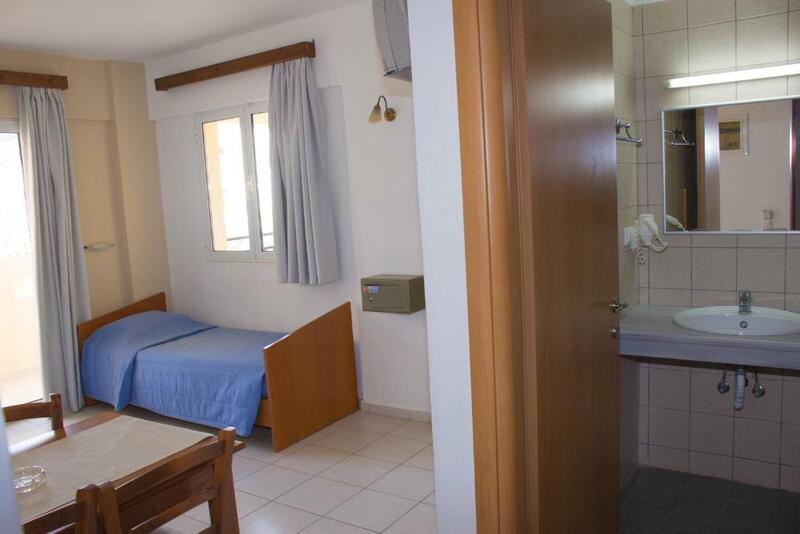 The location is ideal, easily reachable from the bus, restaurants and shops just around the corner, but nevertheless the hotel is quiet, territory is green and the staff helpful. I had to book accomodation the same day I arrived, so I was happy to get this option. 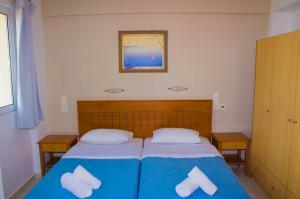 Lock in a great price for Sunshine Studios & Apartments – rated 9 by recent guests! 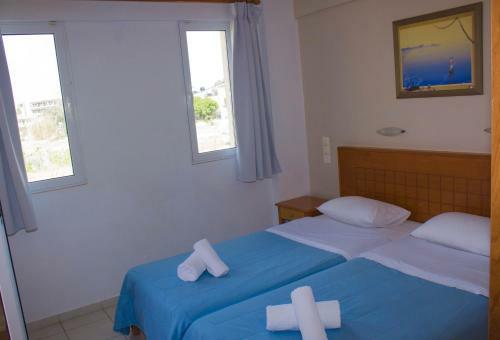 Just 5 minute walk from the center of Stalis and the beach, Sunshine offers self-catered accommodations with free Wi-Fi access and free parking. Sunshine Studios & Apartments have a kitchenette with fridge. 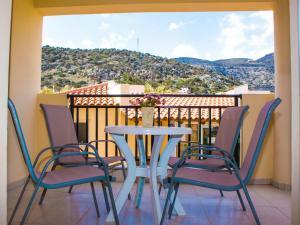 The private balconies offer excellent views of the lush gardens, the lively pool area and the mountains. During the day, guests can relax on one of the comfortably sun loungers in the garden, or have a swim in the large outdoor pool. Children can enjoy splashing around in their own section. Entertainment is provided on a weekly basis, with a barbecue night accompanied by traditional Greek and Cretan music and dancing. 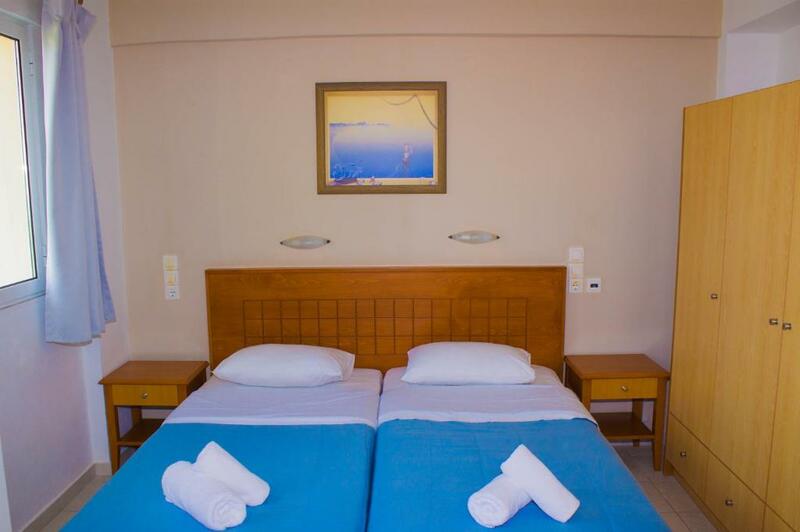 Those who wish to explore the areas of Agios Nikolaos and Heraklion can rent a car from the hotel or use the convenient bus service, next to the hotel. During the winter season, the hotel's staff organizes various events and outdoor activities, such as olive harvesting, bird watching, hiking, raki tour, and culinary excursions. 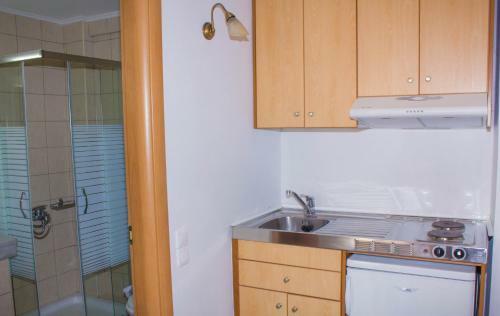 뀐 Located in the top-rated area in Stalís, this property has an excellent location score of 9.8! When would you like to stay at Sunshine Studios & Apartments? Spacious studio featuring free Wi-Fi, kitchenette and balcony with views of the lush gardens, the pool area and the mountains. 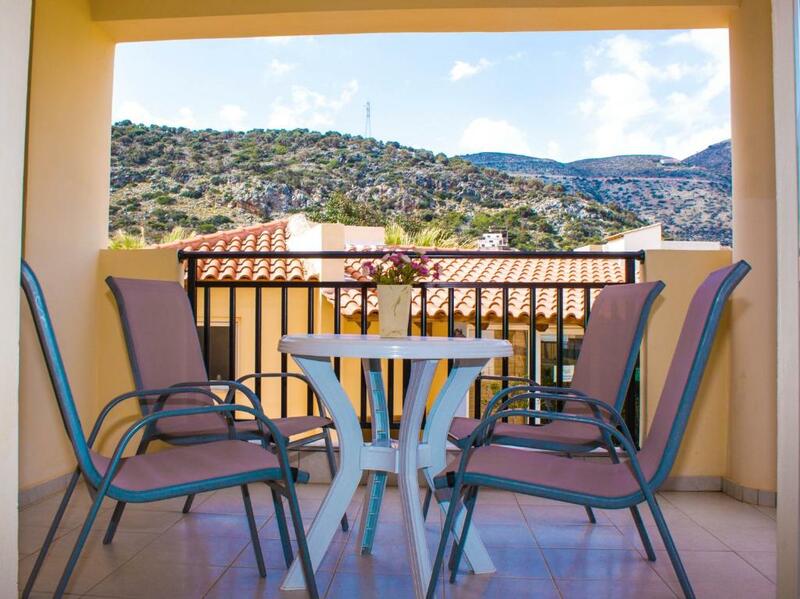 Spacious apartment featuring free Wi-Fi, kitchenette and balcony with views of the lush gardens, the pool area and the mountains. House Rules Sunshine Studios & Apartments takes special requests – add in the next step! Sunshine Studios &amp; Apartments accepts these cards and reserves the right to temporarily hold an amount prior to arrival. Sunshine Studios & Apartments accepts these cards and reserves the right to temporarily hold an amount prior to arrival. nothing at all , everything was clean nice and perfect . Sunshine apartments suited us perfectly,which may not suit everybody.Families with small children would suit this perfectly,but not teenagers who want a lively/party type place.As for dislikes,we said before that Sunshine suited us perfectly.Very relaxing atmosphere.